Fans Of 'The Good Wife' Rocked By [Spoiler Alert] Fans of the TV program The Good Wife are reeling from a shocking episode — one that saw one of its most beloved characters exit the scene suddenly and with finality. 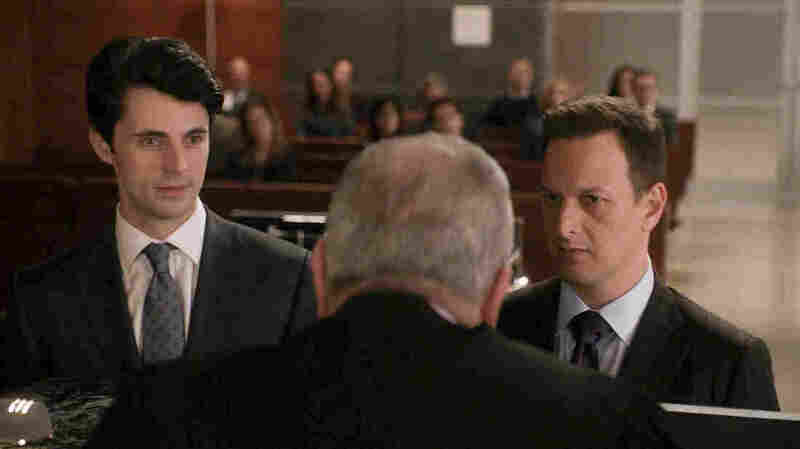 Will Gardner, played by actor Josh Charles, was killed in a courtroom shooting — and it's safe to say that longtime fans watching the show were stunned. Susan Anastasi, a fan in Maryland, says she got pretty riled up. "I was so mad," she exclaims. "I thought, 'How could they do it?' Because the sexual tension between Alicia and Will has always been the heart of the show — and we've been rooting for them to get together since the show began, but she kept going back to her cheating husband." Even TV critics, who can usually sniff out these explosive episodes ahead of time, were caught off guard. "It sort of took me a while to wrestle with my feelings beyond just shock," admits Time magazine's James Poniewozik. As soon as the episode aired last night, CBS began explaining the decision to fans. "However much I've enjoyed the experience," actor Josh Charles says in an online video, "I was ready for the next chapter of my life both creatively and personally." Knowing the outrage would be swift, showrunners Robert and Michelle King posted a letter on the CBS website. They write that they could have sent Will Gardner "off to Seattle" or had him disbarred. But, they said, "there was something in the passion that Will and Alicia shared that made distance a meager hurdle." So, they killed him. They hope the event will propel Alicia into "her newest incarnation." Some fans and critics are not impressed. "Why The ... Shocking Twist Betrayed the Show's Characters," wrote Vulture. And the headline on our own pop-culture blog reads "Ugh: 'Good Wife,' Bad Idea." Killing off a major TV character is nothing new, of course: Think Matthew Crawley on Downton Abbey, or Brian Griffin on Family Guy. But Poniewozik isn't sure how this particular fatality will play out. "I liked at least the adventurousness of it," he says. "Whether or not it ruins the show, tune in next week." No doubt there will be lots of tears — and, since this is a legal drama, some jockeying for Will's position.